$149.99 New on Amazon: Only 14.87 here. This is a moving tribute on a surprising subject: the bureaucratic establishment that welcomed 22 million immigrants to the United States between 1892 and 1924. 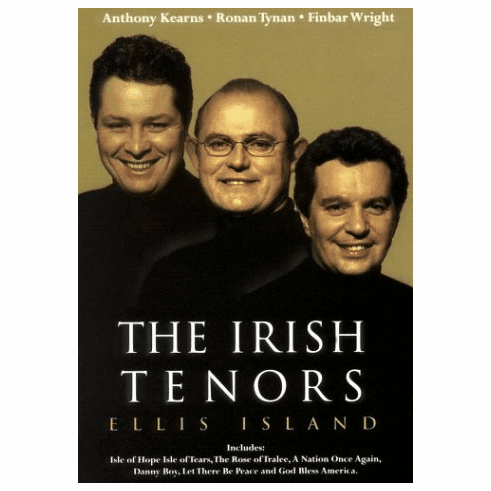 It is beautifully sung by the Irish Tenors, in a concert with orchestra on Ellis Island, with a well-prepared commentary by Martin Sheen on the history of that unique institution and some vintage film clips. It is pleasantly nostalgic throughout and deeply nostalgic for one moment: a panoramic view of New York Harbor on a March 2001 morning; the focus is on the Statue of Liberty, but in the background is a structure that then dominated the New York skyline: the World Trade Center.